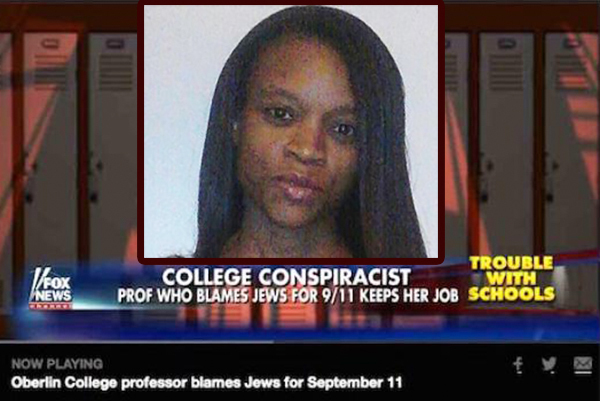 An Oberlin College professor has been fired over her remarks about Israel’s role in 9/11 attacks and downing of Malaysian airliner, the Ohio College said a few days ago. According to a report covered by IRNA, Assistant Professor of Rhetoric and Composition Joy Karega made headlines in March after screenshots of her now-deleted Facebook posts, most from early 2015, were publicized by The Tower Magazine and other pro-Israel organizations. Her posts suggested Israel was behind the 9/11 terrorist bombings in New York City and the downing of Malaysia Airlines Flight 17. She also wrote that the ISIS terrorist group was not really Islamic, but rather “a CIA and Mossad operation” and that the Mossad was actually behind the Charlie Hebdo shootings in Paris, Washington Times reported. Oberlin College initially defended Ms. Karega’s freedom of expression, but then suspended the professor in August pending an investigation into her comments. Last Tuesday, the college’s Board of Trustees announced that it was terminating Ms. Karega’s employment.